What better way to finish the year than with a well-deserved beer? 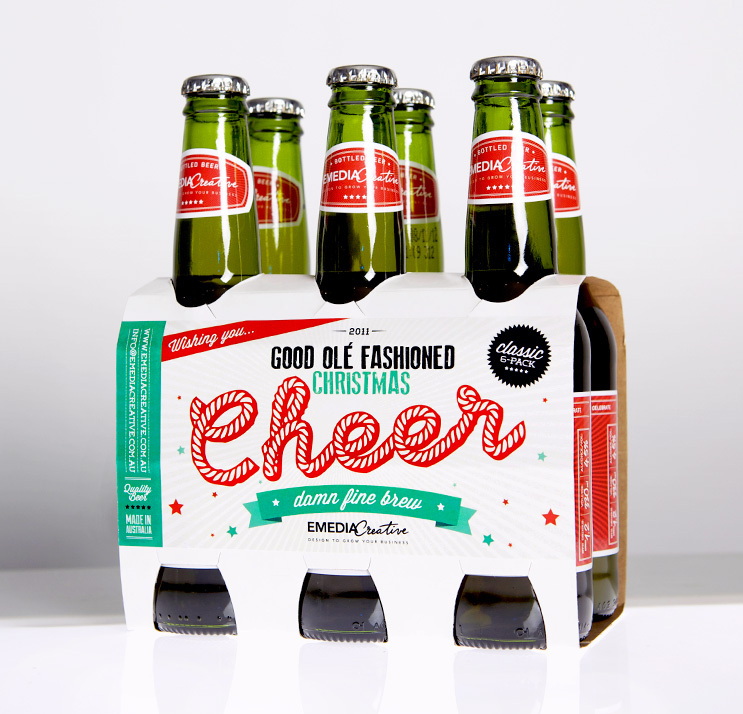 We felt our clients deserved a thank-you so created these Cheers Beer 6 packs as an end-of-year gift. 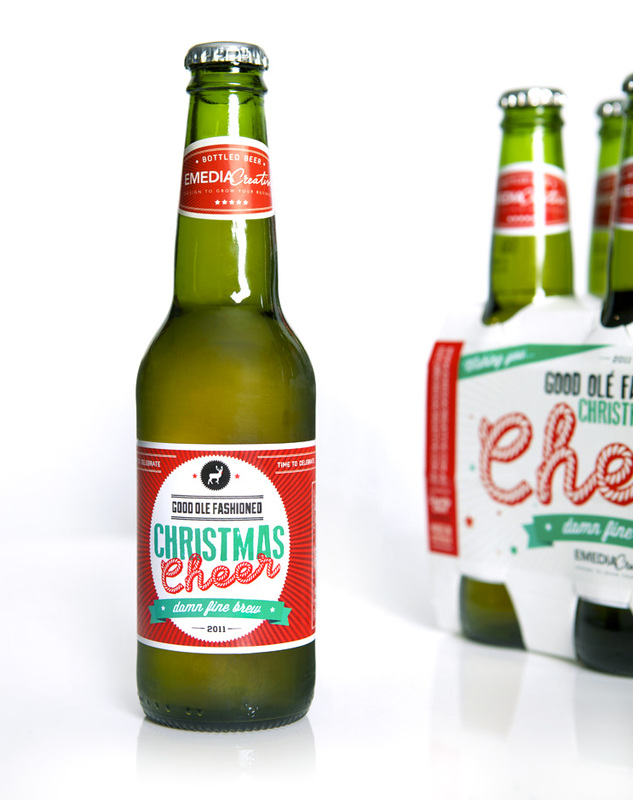 We branded with Emedia Creative elements and used a candy-cane font and red and green colours to allude to Christmas.